If you are vigilant enough, you can grab yourself a Series 3 Apple Watch for just $229, which is the lowest price this wearable has ever dropped to. We understand how great the Series 4 is when it comes to features and performance, especially that gorgeous display. But if you want to save some big money and still grab something that’s close to the Series 4 then the Series 3 is the way to go. Sure, it might not have the same edge to edge display, but it makes a lot of firepower to get things done on a daily basis. 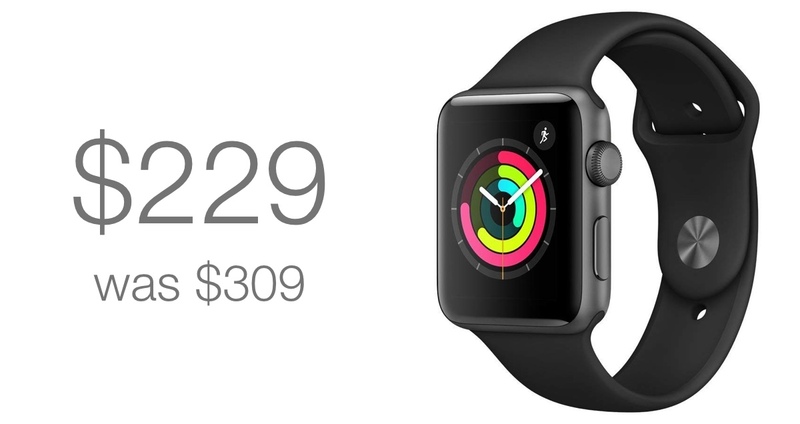 The model on sale here is the one with a 42mm casing, which is the larger of the two models Apple sells. What’s more important to note here is that this is the GPS-only version and the watch will rely on your iPhone for keeping up to date. But hey, you can still track your workouts even if you plan on leaving your phone behind which is still a huge bonus. Furthermore, this is Space Gray version with a Black Sport Band. Keep in mind that you can always swap that band for something else down the line thanks to the thriving accessory ecosystem for the Apple Watch. If you are interested in securing an Apple Watch Series 3 for yourself, then head over to the link below. Please note that stocks are limited and price will return to normal once it is depleted.